A 17-YEAR-OLD driver has been seriously injured in a traffic collision in Glanmire in Cork this evening. 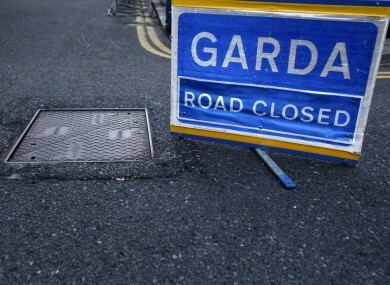 The crash occurred shortly after 7pm when a car struck a wall on a minor road at Lackenroe, Glounthaune near Glanmire. The driver of the car, a 17-year-old male, has been taken by ambulance to Cork University Hospital. It’s understood he was the sole occupant of the car at the time. Garda forensic collision investigators are currently at the scene. The road is closed and local diversions are in place. Anyone with information is asked to contact Mayfield Garda Station 021-4558510 or the Garda Confidential Line 1800 666 111. Email “17-year-old driver seriously injured in single vehicle crash ”. Feedback on “17-year-old driver seriously injured in single vehicle crash ”.